Past Voices: Letters Home - Horace Brewer WW1 Collection. Find your ancestors and learn their history. Find ancestors in Civil War letters, War of 1812 letters, Revolutionary War letters. 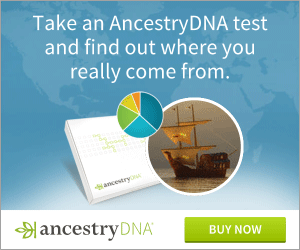 Search your ancestry and find your genealogy. Find your roots and hear your ancestors' words. Discover your origins in old letters as ancestors tell their stories and details of family history. Learn how to preserve old documents, family treasures and heirlooms. Olive Tree Genealogy - Ships passenger lists and more! Received your letter this evening and enclosed letters from Mrs. Keeling, etc. I think the cards Mrs. Keeley sent you are very good I will bring them over to you after this little fight is over, but its not half finished yet, the devils! I would like to be able to shoot the lot, but never mind we shall beat them in time. I also got Harry Ardley's photo. It is very good of the poor lad too, but it was very hard luck to get killed so soon as he did. But I expect it was just his luck. We all have to go some day. Every minute of our life is in danger, but it doesn't do for us to think so, but just go along merry and bright. Now Mother dear I have no time to write more just now so must draw to a close hoping to find you all in the best of health. Horace (Harry) Brewer was born in Granton, Ontario in 1887. He enlisted in the British Army in 1905. On the 30th of March 1918 he was reported missing and presumed killed. His body was never found.